The Horizon Endurance 3 is an advanced elliptical. It has various special features like ECB magnetic brake resistance system, MP3 compatable speakers, Oversized Pedals, 16 Electronically Adjustable Resistance Levels, Contact Grips and Wireless Receiver etc. The Horizon Endurance 3 weights about 71 kgs and has a maximum user capacity of 136 kgs. 16 Electronically Adjustable Resistance Levels for safe workout. Oversized Pedals with Rubber Footpads for a effective and comfortable workout. Longer stride length for a smooth workout. ToughTrain 3.0 out of 5 Kick start your cardio training with this machine having suffient features and descent price. *Note: Most of the sites, stores or shopping portals listed above sell Horizon Endurance 3 Elliptical with discounts and other exciting offers. There is a possibility that the some of above websites are not selling Horizon Endurance 3 Elliptical now. Toughtrain.com is not liable for such cases or instances. 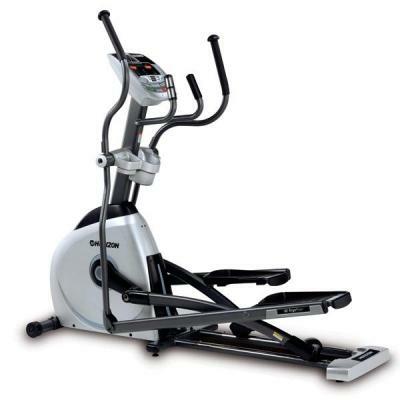 Also we do not recommend any seller for Horizon Endurance 3 Elliptical and a buyer should buy from where he/she gets best deal with quality of products, service and on time delivery (shipment).